Anyway, innovative, quirky, and looking like overall tasty fun, Whybin TBWA Australia and The Sydney International Food Festival cooked up a clever way to promote last year’s fest. 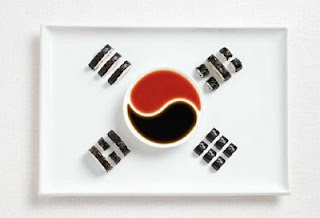 They used iconic foods from the participating countries to recreate their flags. From the green-white-red of basil-spaghetti-tomatoes to the orange-white-green of tikka masala-rice-saag, the results are both appetizing and a little reminiscent of junior high school geography class. Which brings us to this challenge: Can you correctly identify 12 of these international culinary flags?